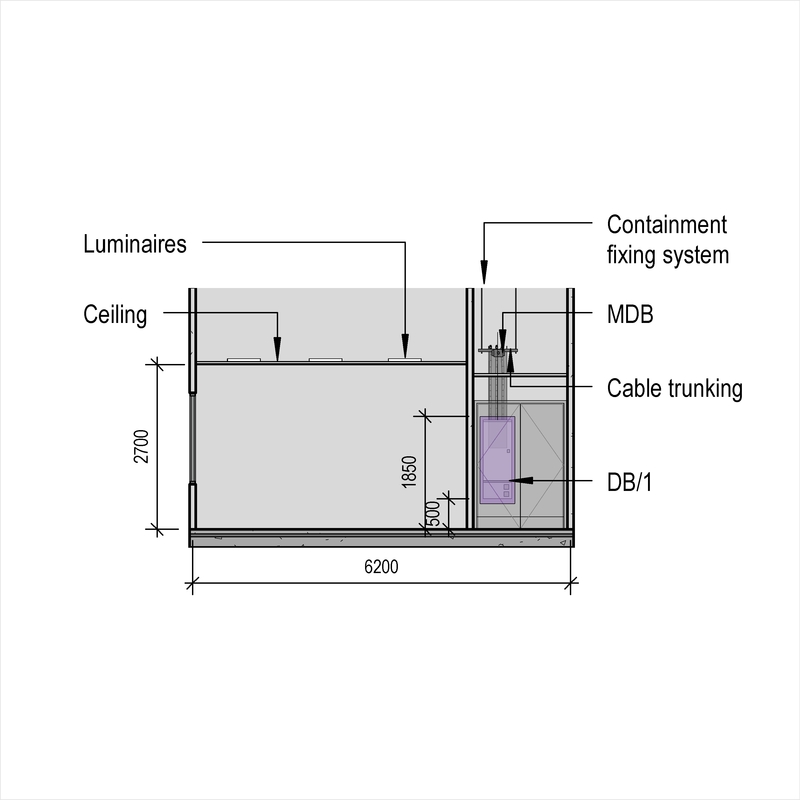 A central battery supplied emergency lighting system typically comprises of items such as emergency power source, final circuit cabling and containment. 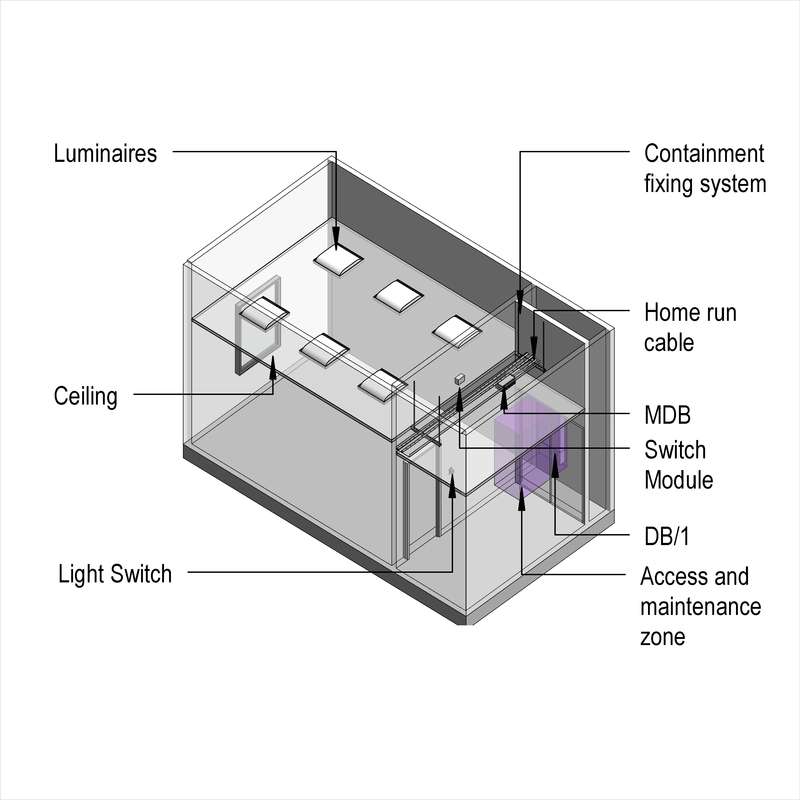 Complete this electronic spreadsheet to ensure that your Central battery supplied emergency lighting systems product information meets the requirements of Level 2 BIM. This is important as it will enable your customers to select, specify and use your products within the BIM environment. Once you have completed this template you can host it on your own website or distribute it to your customers. Please note that we do not host completed product data templates within the BIM Toolkit. 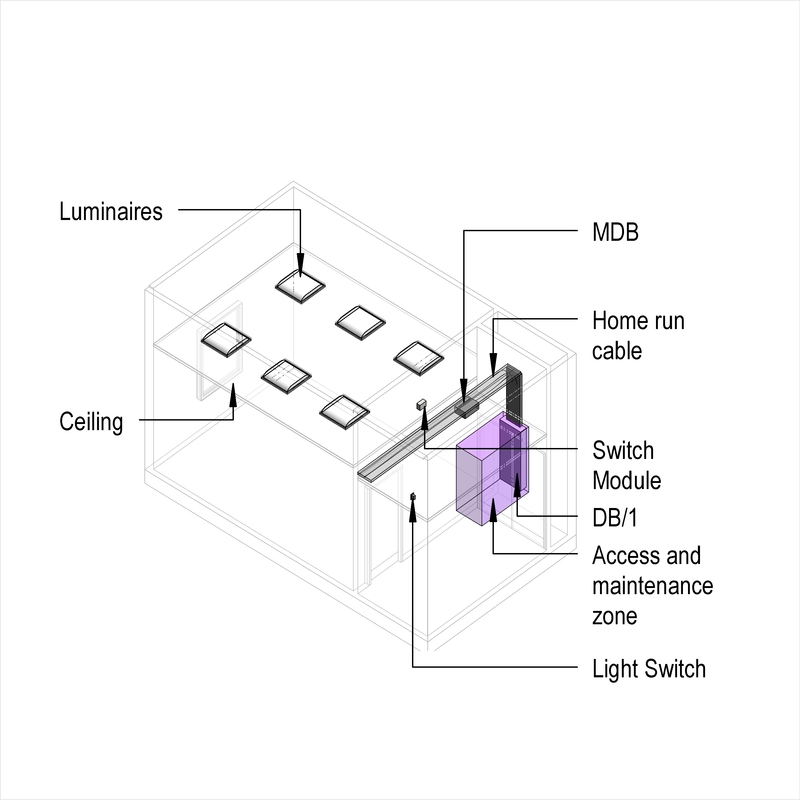 The above illustrations are for General lighting systems with prefabricated wiring from the NBS section General lighting systems. This is indicative of the LOD requirements for Central battery supplied emergency lighting systems. Design of emergency lighting systems System designer, Design and Standards. Escape route lighting Position and Minimum horizontal illuminance at floor level on centre line of escape route. High risk task area lighting Position and Minimum maintained illuminance on the reference plane. Standby lighting Position and Minimum illuminance on the working plane. 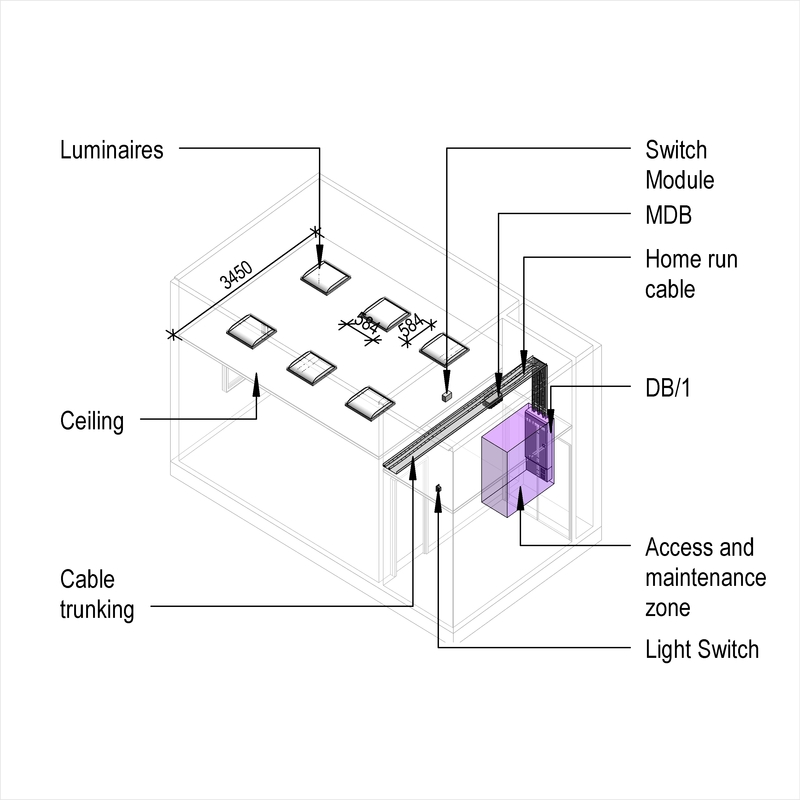 Lighting performance Task area, Maintained average illuminance level (lx) and Glare index (maximum). Operating conditions for d.c. central supply and static inverter power supply units Operating conditions. Lighting cables generally Standard, Requirement and Conductor sizes (minimum). Emergency power source Products such as Central battery supply units. Final circuit cabling Products such as Fire resistant screened (LSHF) cables. Rewireable installation The Rewireable installation of the Central battery supplied emergency lighting systems. Concealed installation The Concealed installation of the Central battery supplied emergency lighting systems. 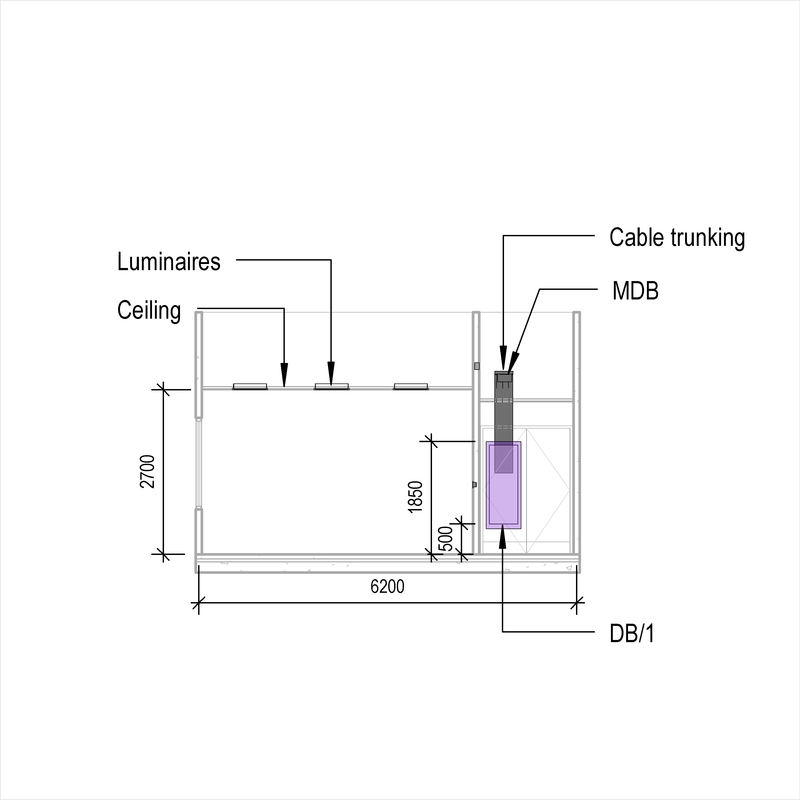 Connections to luminaires Products such as Ordinary duty heat resistant PVC insulated and sheathed flexible cables. 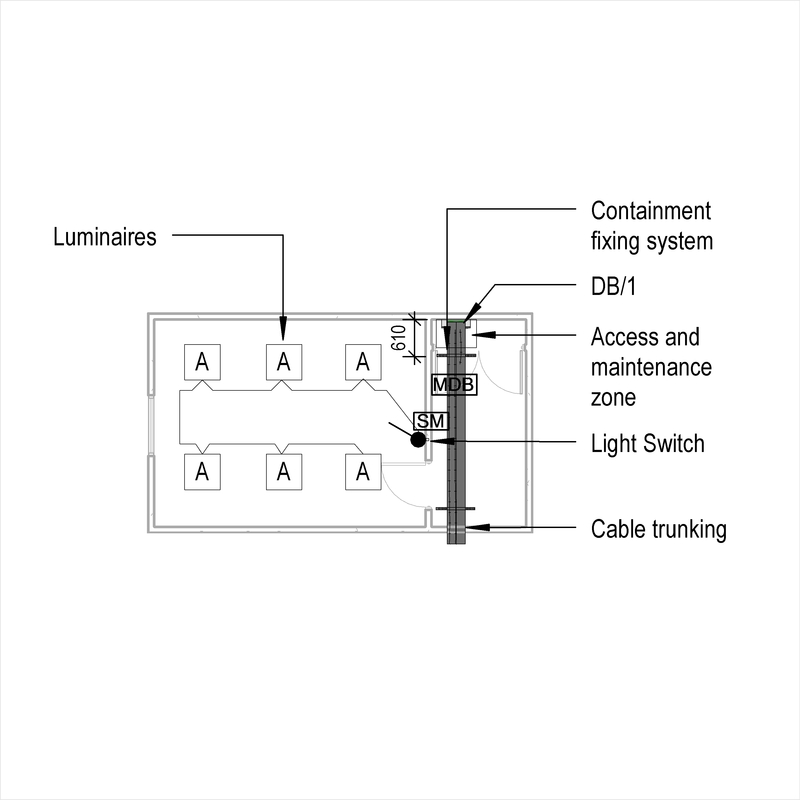 Luminaire types Products such as Combined emergency luminaires. Lamp types Products such as Fluorescent lamps. 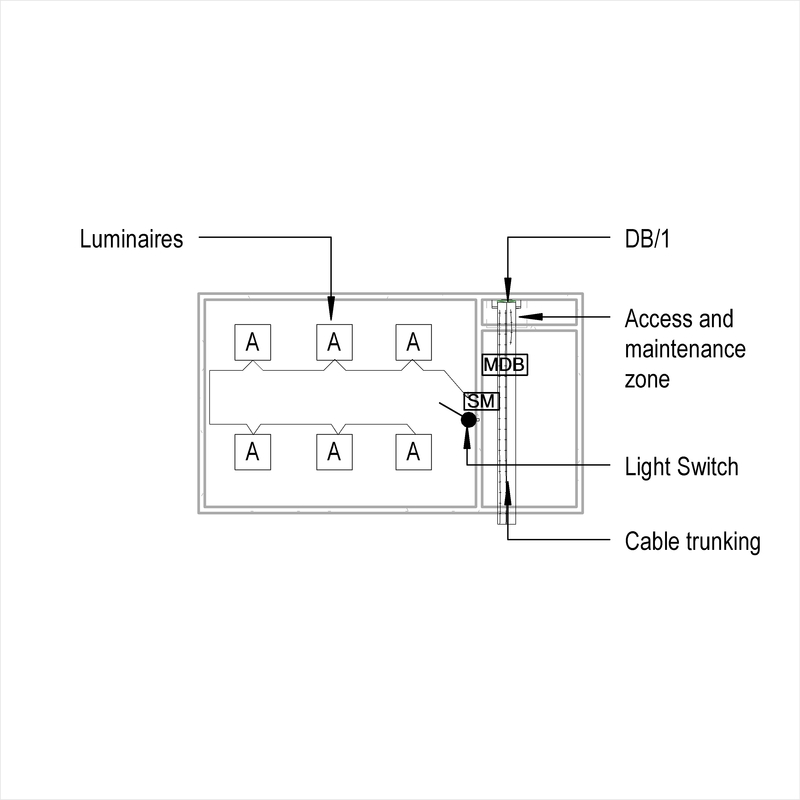 Lighting controls Products such as Automatic emergency lighting test panels. 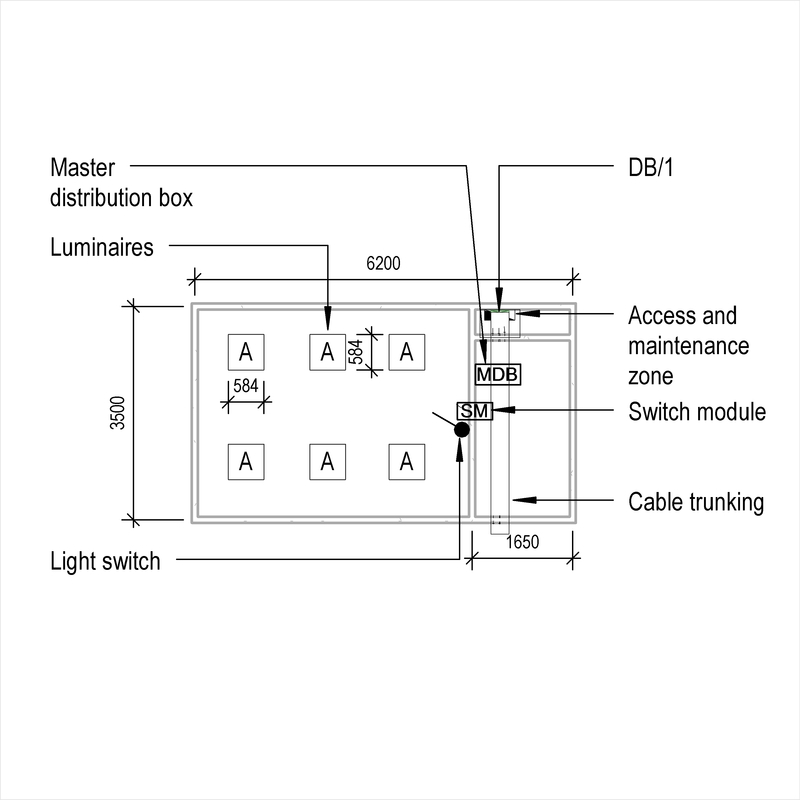 Accessories Products such as Electrical low mounted way-guidance lighting modules.